We showed previously that garden cress constituent benzyl isothiocyanate (BITC) inhibits self-renewal of breast cancer stem cells (bCSC) in vitro and in vivo. The present study offers novel insights into the mechanism by which BITC inhibits bCSC. Flow cytometry and mammosphere assay were performed to quantify bCSC fraction. Protein expression was determined by western blotting. Apoptosis was assessed by flow cytometry using Annexin V-propidium iodide method. Cell migration was determined by Boyden chamber assay. 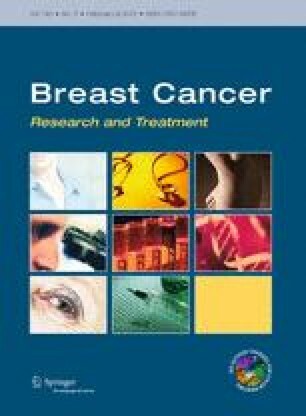 BITC treatment resulted in a marked decrease in protein level of polycomb group protein B-lymphoma Moloney murine leukemia virus insertion region-1 (Bmi-1) in cultured human breast cancer cells (MCF-7, SUM159, MDA-MB-231, and MDA-MB-361) and MDA-MB-231 xenografts in vivo. Overexpression (MCF-7) or knockdown (SUM159, and MDA-MB-231) of Bmi-1 protein had no meaningful impact on the BITC’s ability to inhibit cell viability and cell migration and/or induce apoptosis. On the other hand, inhibition of bCSC markers (aldehyde dehydrogenase 1 activity and mammosphere frequency) resulting from BITC exposure was significantly altered by Bmi-1 overexpression and knockdown. BITC was previously shown to cause activation of Notch1, Notch2, and Notch4 in association with induction of γ-secretase complex component Nicastrin, which are also implicated in maintenance of cancer stemness. BITC-mediated inhibition of bCSC was augmented by knockdown of Notch4 and Nicastrin, but not by RNA interference of Notch1 or Notch2. The present study highlights important roles for Bmi-1 and Notch4 in BITC-mediated suppression of bCSC. This study was supported by the National Cancer Institute, National Institutes of Health Grant RO1 CA129347-07. This study used the Flow Cytometry Facility supported in part by Cancer Center Support Grant P30 CA047904.